The Humboldt County Sheriff's Office is investigating the shooting of one of the three famed zebras that lives on Mattole Road near Petrolia. Sheriff William Honsal said his office received a report of the shooting Saturday morning, saying it appears someone used a small caliber rifle to fatally shoot the zebra sometime during the preceding night. He said the animal's owner went out to the pasture Saturday morning to find the animal lying down and, upon closer inspection, found a single bullet hole. "It is currently being investigated," Honsal said, urging anyone with information to call the sheriff's office at 445-7251 or the crime tip line at 268-2539. The zebra — known as "Randy" — is one of three that have long delighted passersby on the Lost Coast. According to our coverage in 2013, the animals were then owned by fashion designers based in Los Angeles but were being cared for by a father and son team, Luis Juarez Sr. and Jr., who made the drive from Ferndale several days a week to feed the animals and put them in at night. 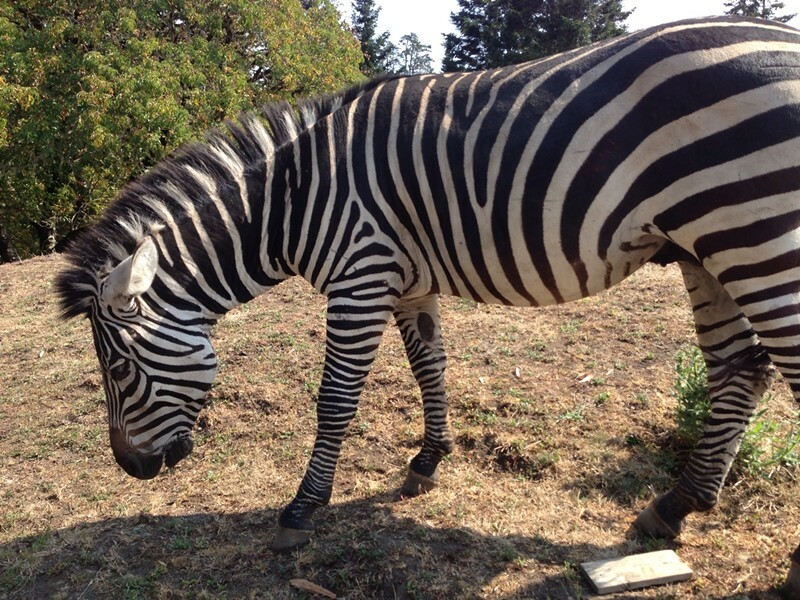 The animals reported came to the Lost Coast by way of a zebra ranch in Oroville. Honsal said his office will issue a full press release in the morning. We'll update this post with more information as we receive it.